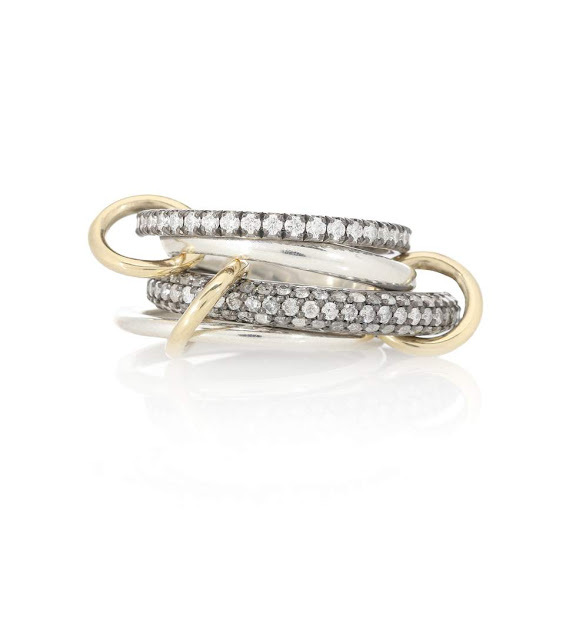 Spinelli Kilcollin Vega St 18kt gold and silver diamond ring, at mytheresa.com. 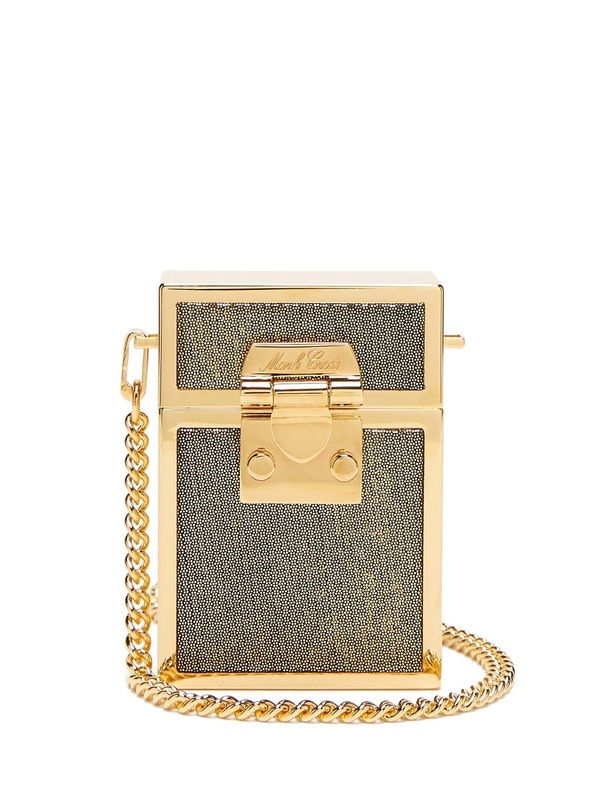 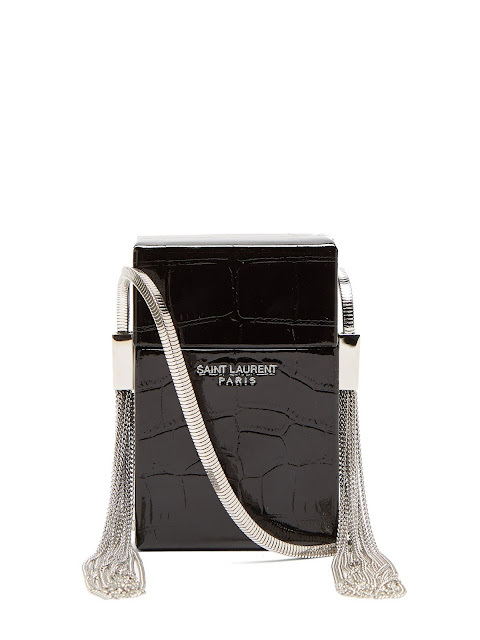 Saint Laurent Kate engraved metal cross-body bag, at matchesfashion.com. 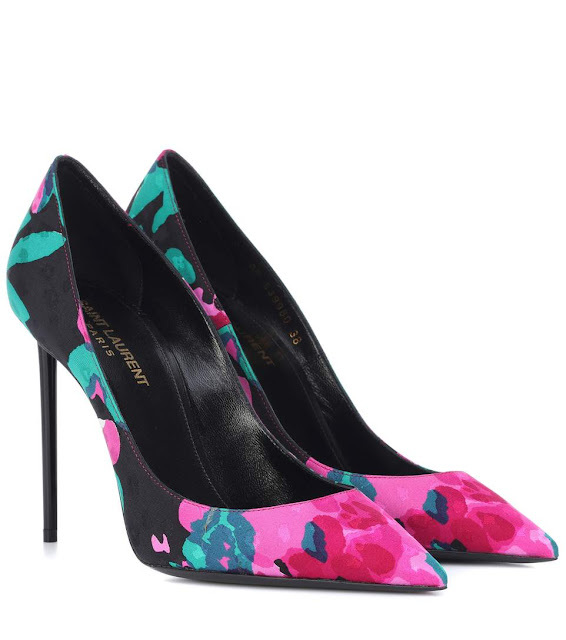 Saint Laurent Zoe floral pumps, at mytheresa.com. Midnight shell polka-dot PVC and tulle pumps, at matchesfashion.com. Vetements printed leather pumps, at net-a-porter.com. 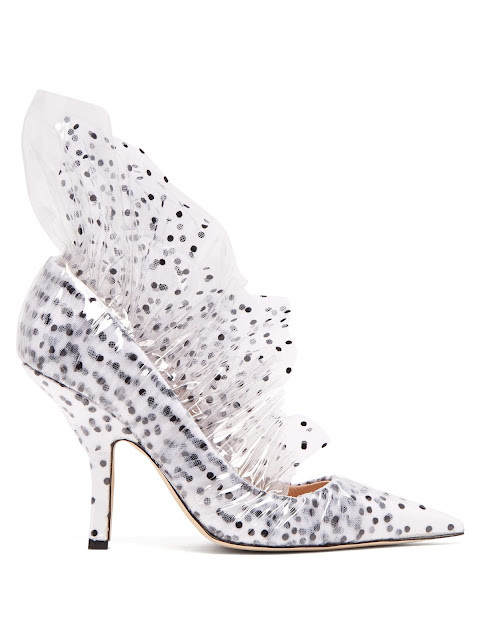 Fabrizio Viti Ava embellished satin pumps, at matchesfashion.com. 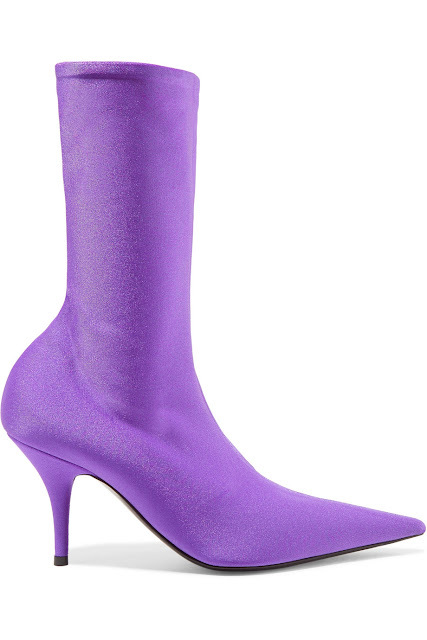 Balenciaga Knife spandex sock boots, at net-a-porter.com. 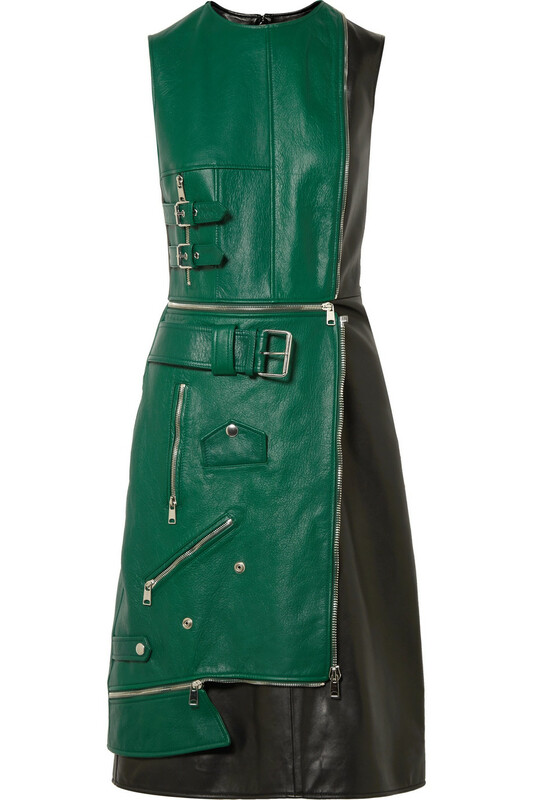 Gucci Lisa leather-trimmed logo-jacquard over-the-knee boots, at net-a-porter.com. 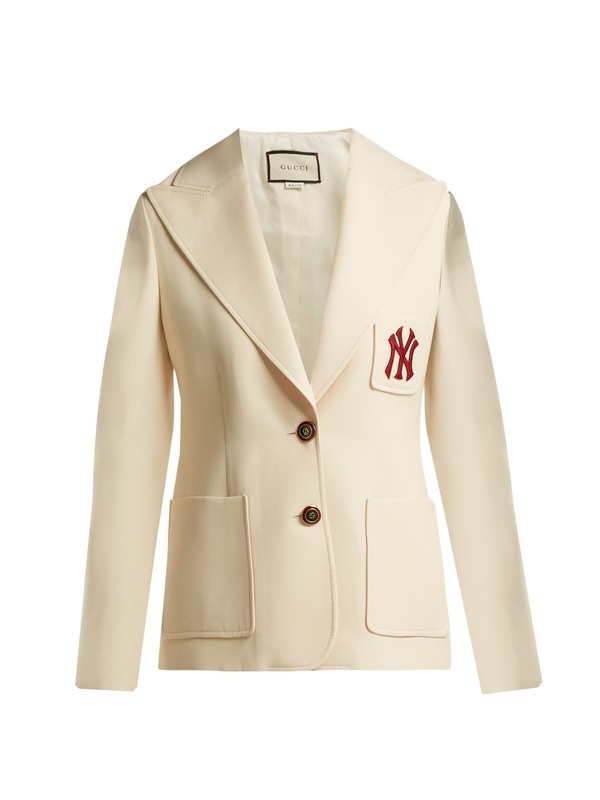 Gucci NY Yankees-patch single-breasted wool-blend blazer, at matchesfashion.com. 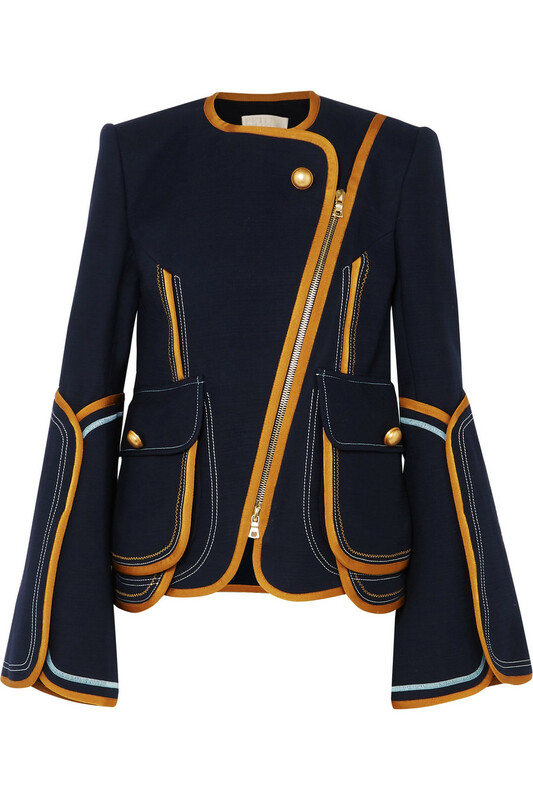 Peter Pilotto grosgrain-trimmed cotton-blend jacket, at net-a-porter.com. Gucci crystal-embellished wool cape, at mytheresa.com. 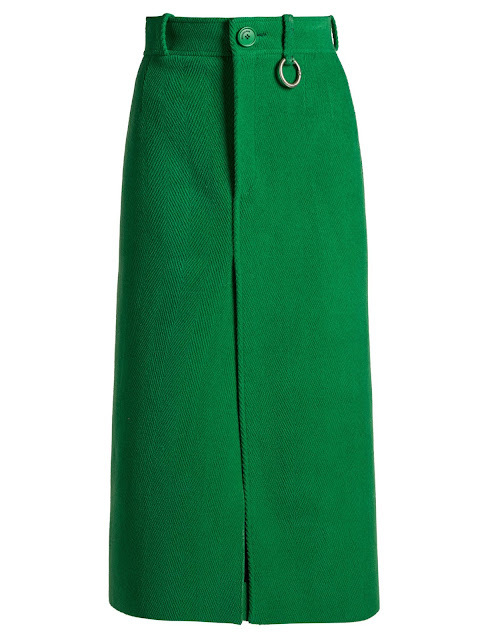 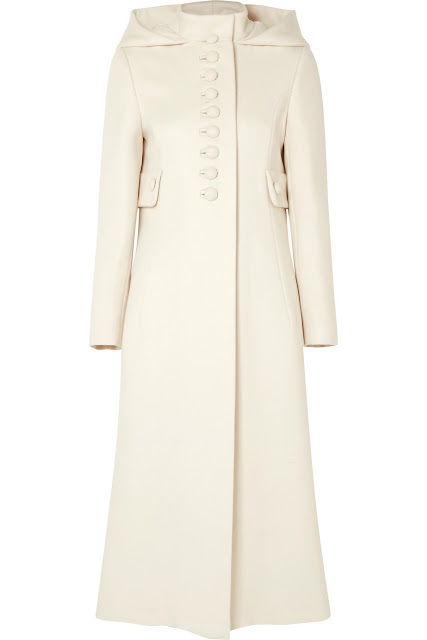 Gucci hooded wool coat, at net-a-porter.com. Miu Miu embellished wool-blend miniskirt, at mytheresa.com. 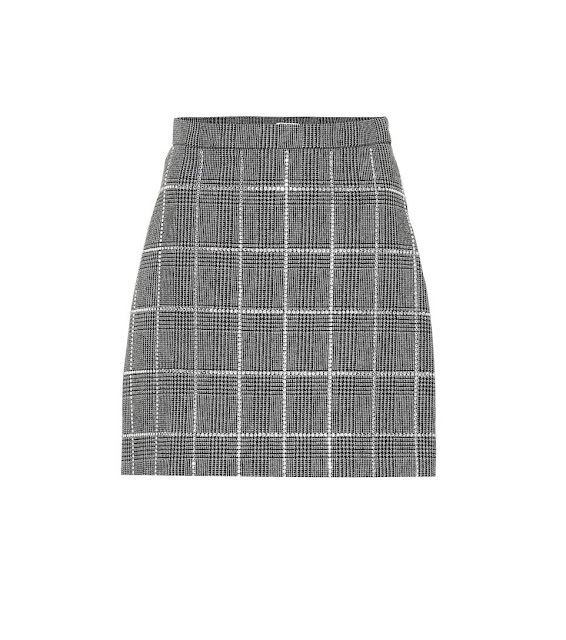 Balenciaga wool herringbone split-front midi skirt, at matchesfashion.com. 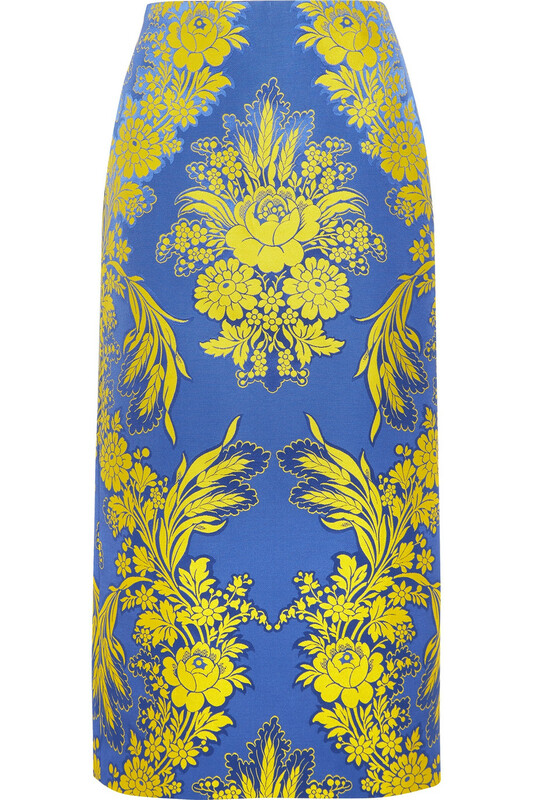 Gucci floral-jacquard midi skirt, at net-a-porter.com. Miu Miu ruched floral-print silk-blend cloque midi skirt, at net-a-porter.com. Giambattista Valli silk and lace minidress, at mytheresa.com. 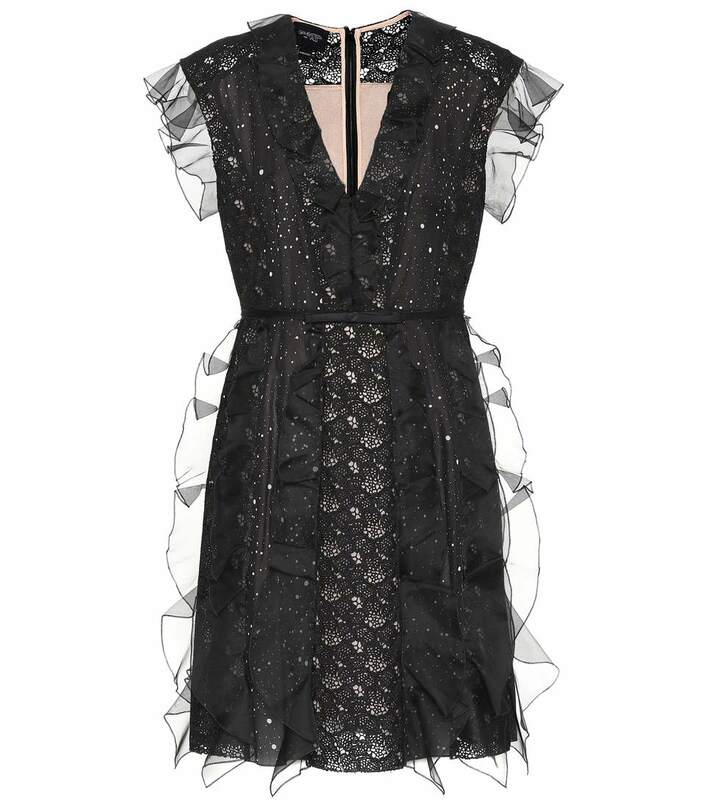 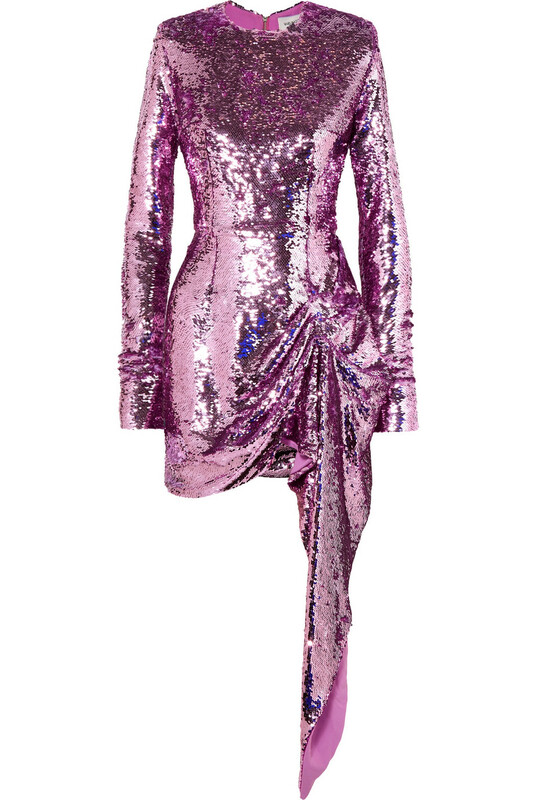 16Arlington draped sequined crepe mini dress, at net-a-porter.com. Alexandre Vauthier metallic minidress, at mytheresa.com. 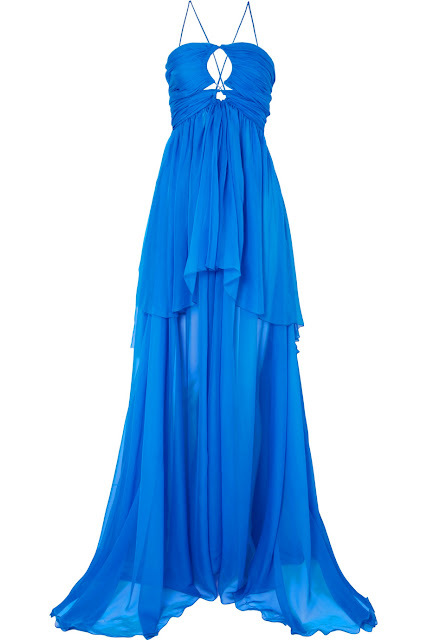 Dundas cutout tiered silk-chiffon gown, at net-a-porter.com. 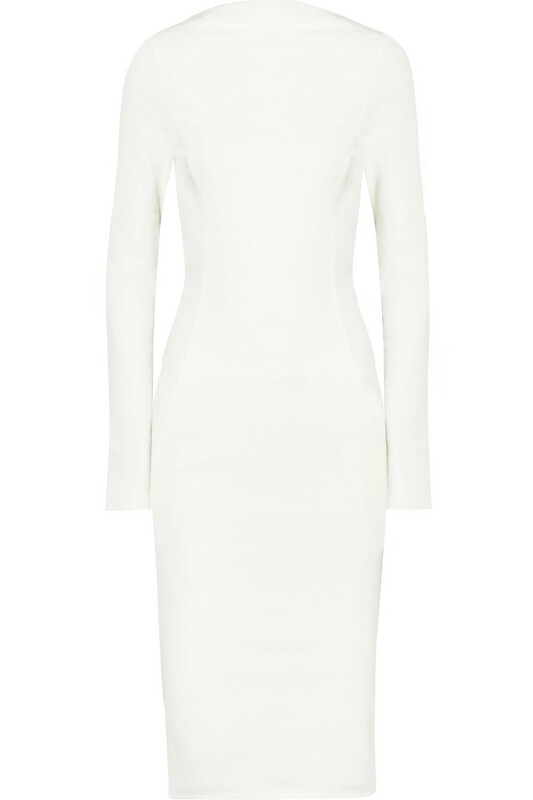 Rick Owens cotton-blend crepe dress; this and next three at net-a-porter.com. 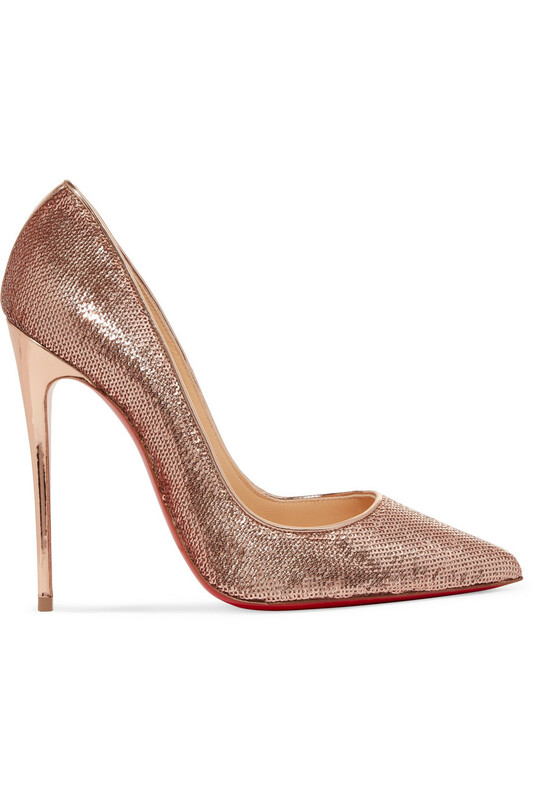 Christian Louboutin So Kate 120 sequined canvas pumps. 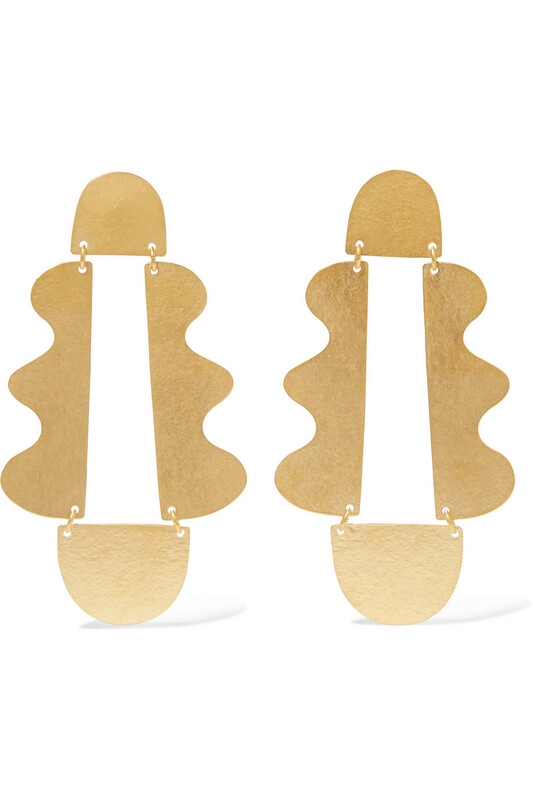 Annie Costello Brown Matisse gold-tone earrings. 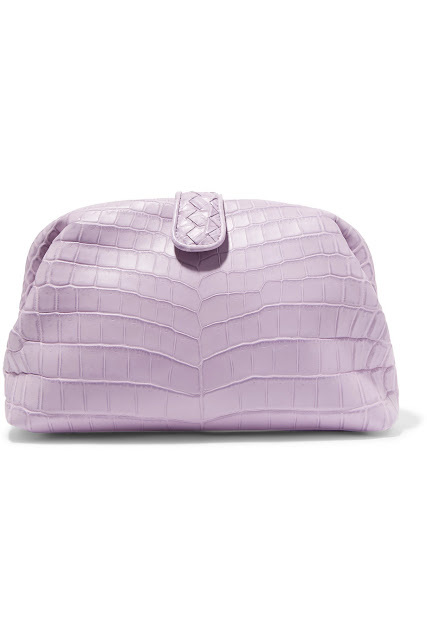 Bottega Veneta Lauren crocodile clutch. Darlings, CC is going to keep wearing black until they make a darker color! 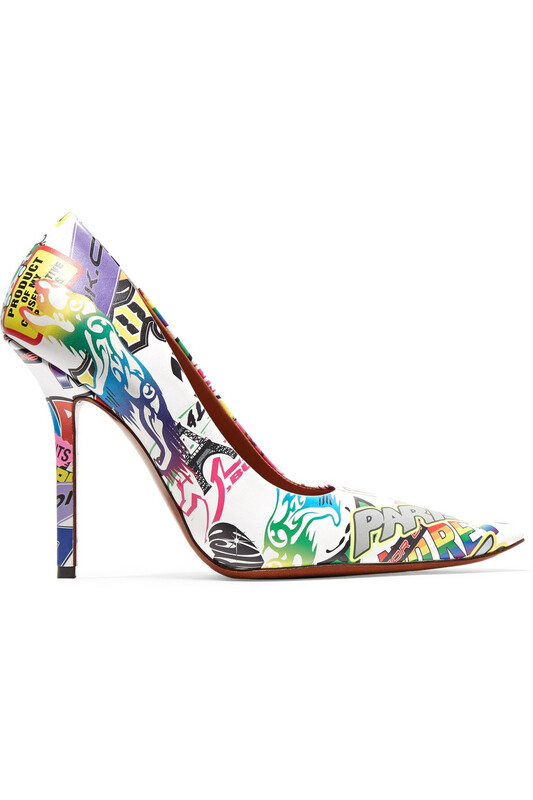 Prada logo-embellished kitten-heel pumps, at matchesfashion.com. Dolce & Gabbana crystal-embellished patent-leather Mary Jane pumps, at net-a-porter.com. 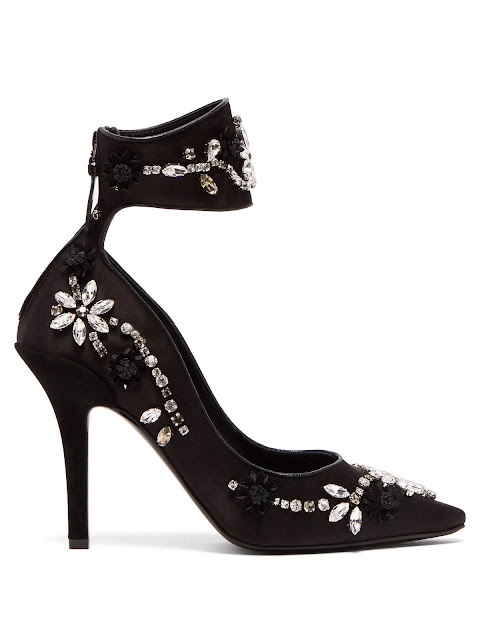 Alaia 110 studded suede ankle boots, at net-a-porter.com. 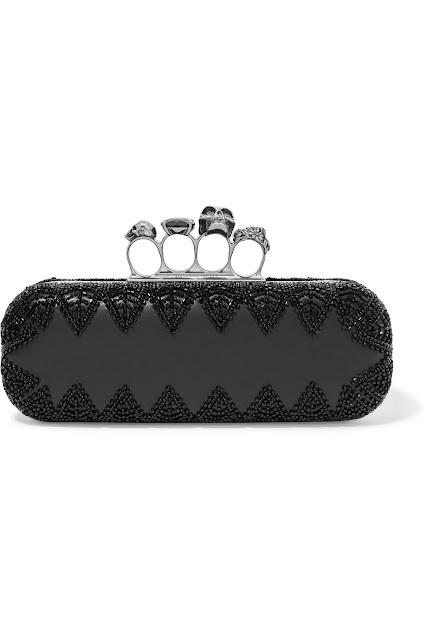 Alexander McQueen Knuckle embellished leather clutch, at net-a-porter.com. 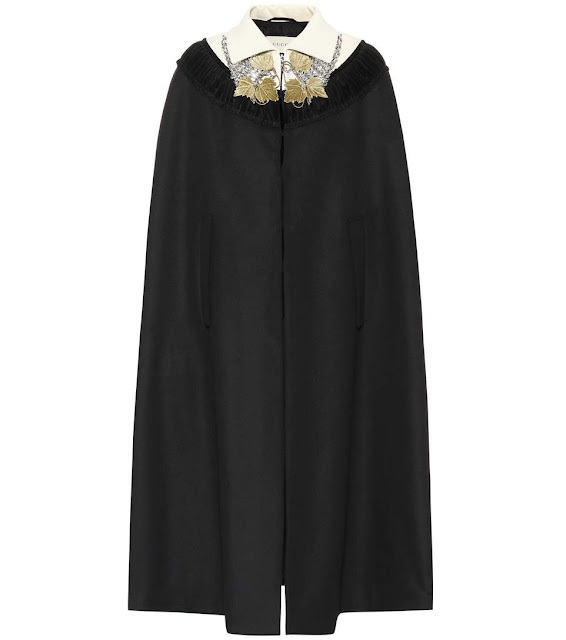 Alexander McQueen asymmetric cotton-blend lace and silk-satin top, at net-a-porter.com. 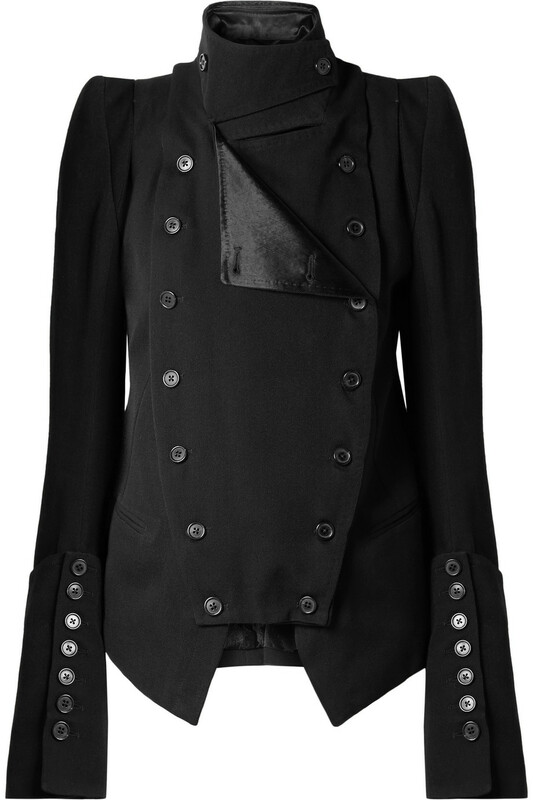 Ann Demeulemeester convertible wool and cotton-blend blazer, at net-a-porter.com. 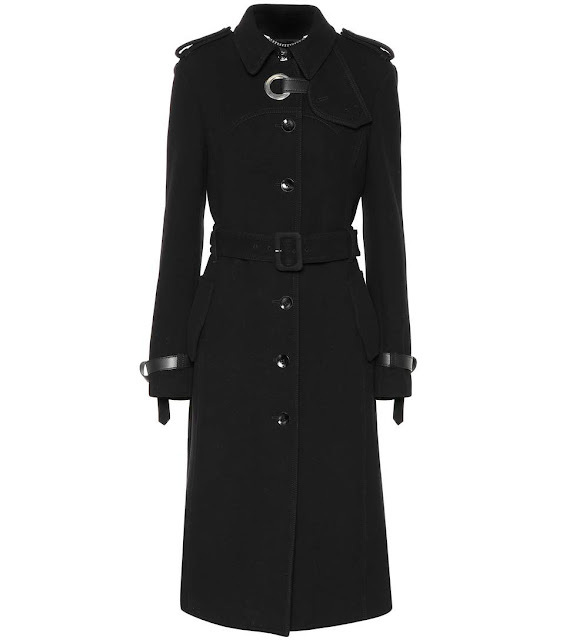 Altuzarra Cassidy wool-blend coat, at mytheresa.com. 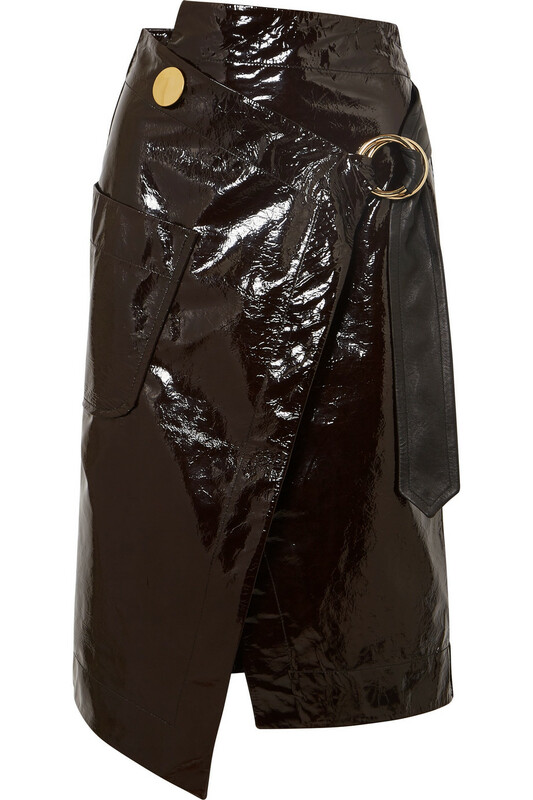 16Arlington patent-leather pencil skirt, at net-a-porter.com. 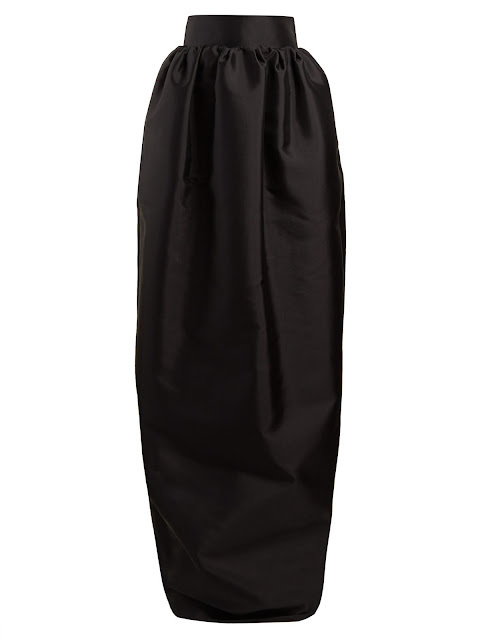 The Row Ranel silk-mikado maxi skirt, at matchesfashion.com. 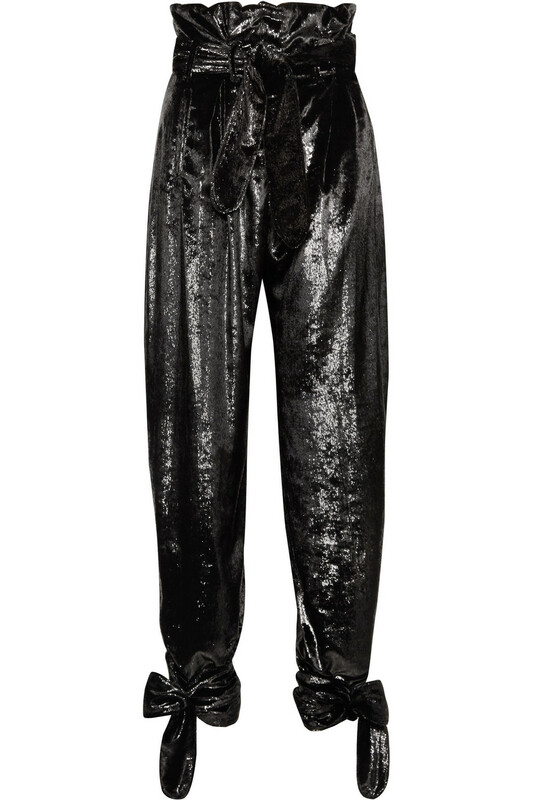 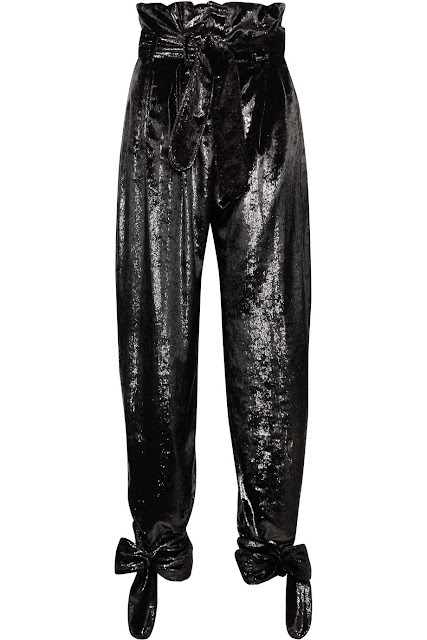 Attico tie-detail belted metallic velvet straight-leg pants, at net-a-porter.com. 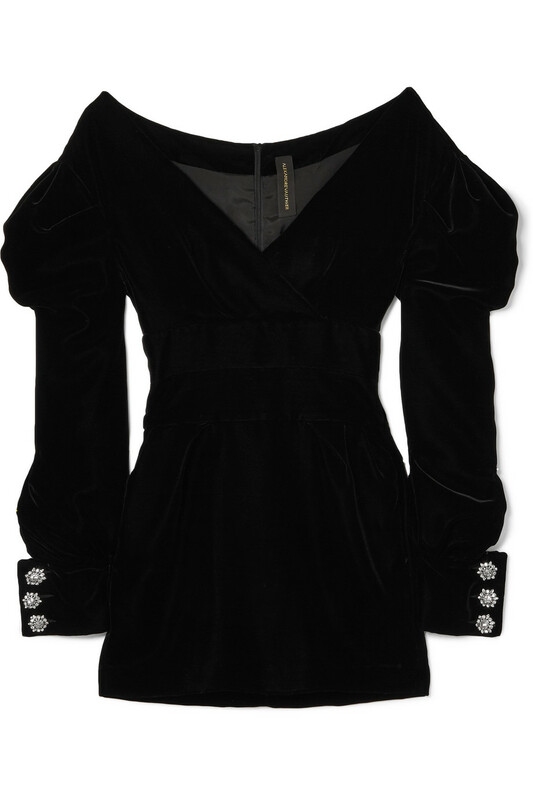 Alexandre Vauthier off-the-shoulder velvet mini dress, at net-a-porter.com. 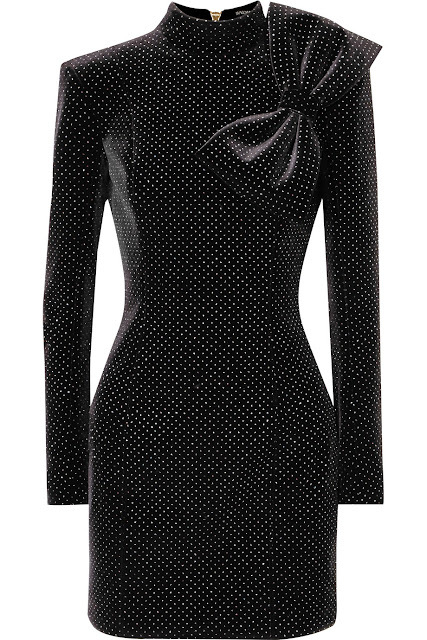 Balmain bow-detailed glittered stretch-velvet mini dress, at net-a-porter.com. Alexandre Vauthier twisted crystal-embellished crepe gown, at net-a-porter.com. 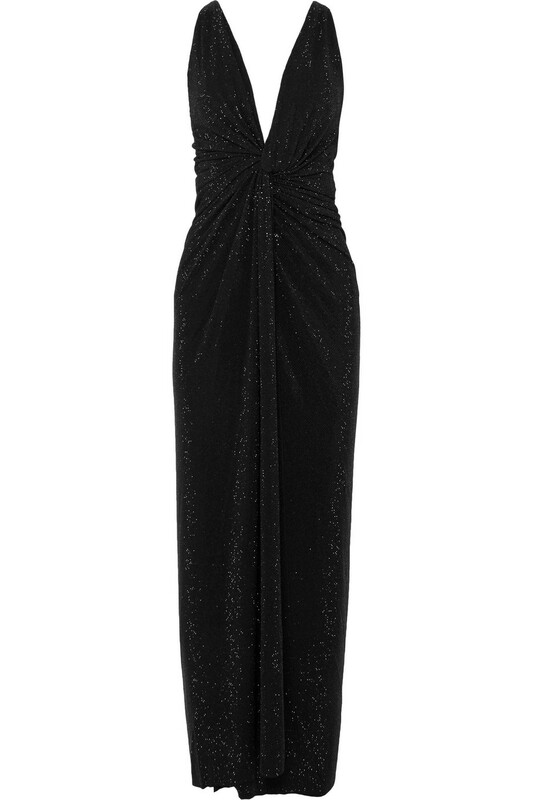 Monique Lhuillier one-shoulder crystal-embellished tulle and velvet gown, at net-a-porter.com. 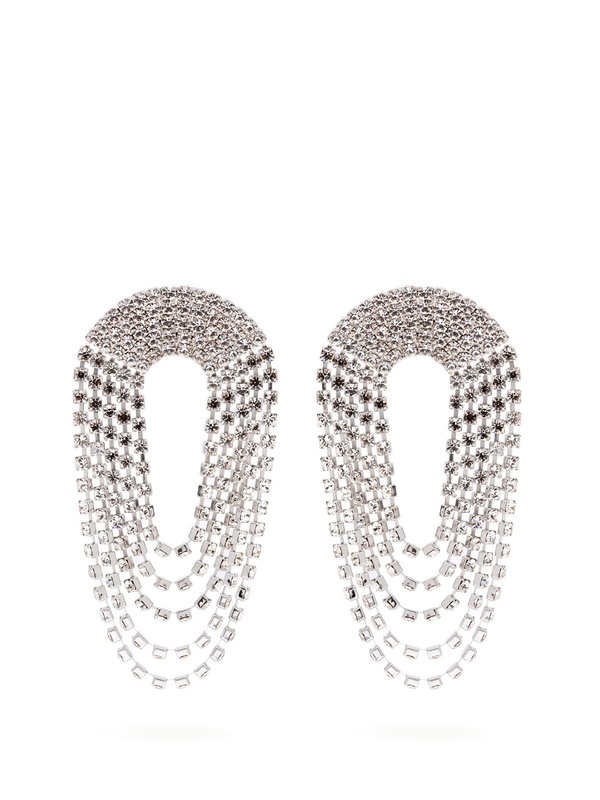 Alessandra Rich draped crystal earrings, at matchesfashion.com. 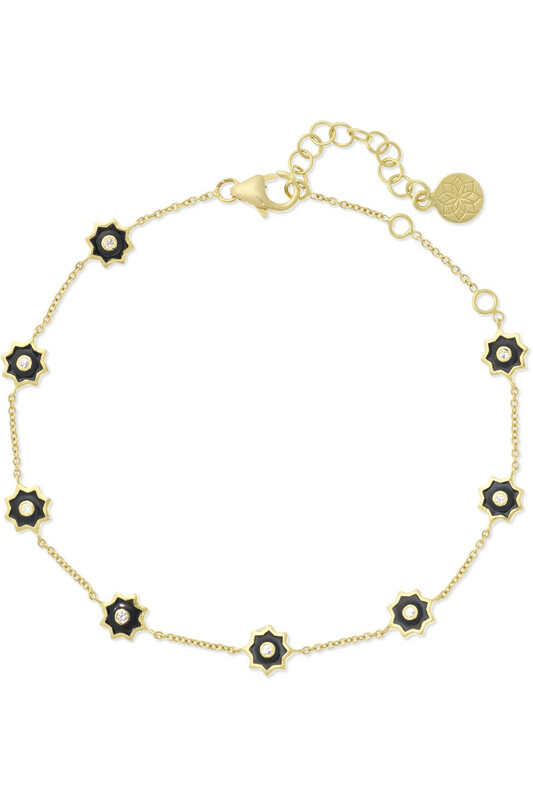 Amrapali 18-karat gold diamond and enamel bracelet, at net-a-porter.com. 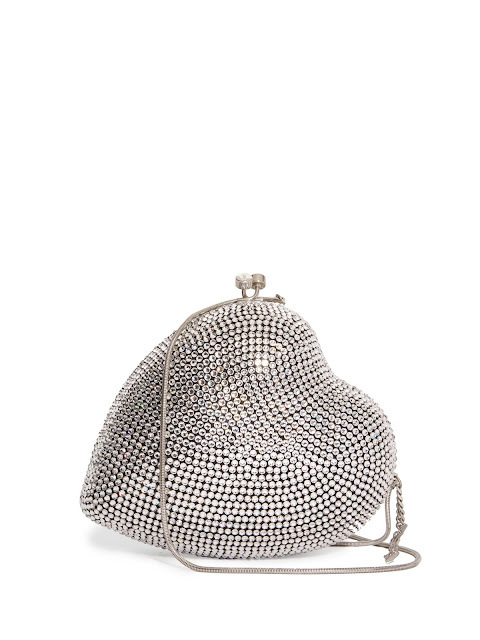 Saint Laurent Love Box crystal-embellished leather clutch, at matchesfashion.com. 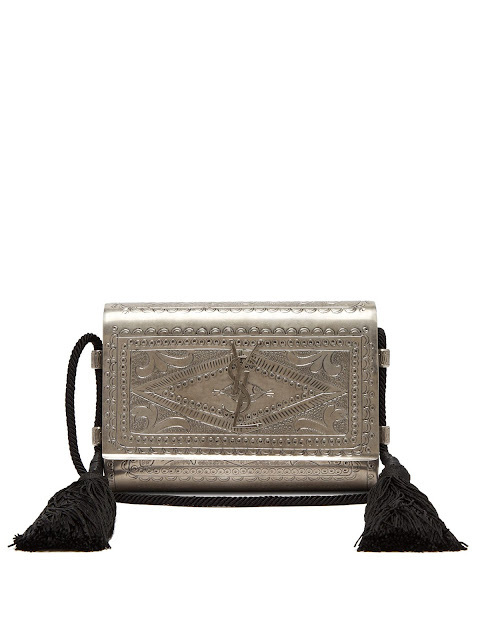 Mark Cross Nicole moire cross-body bag, at matchesfashion.com. 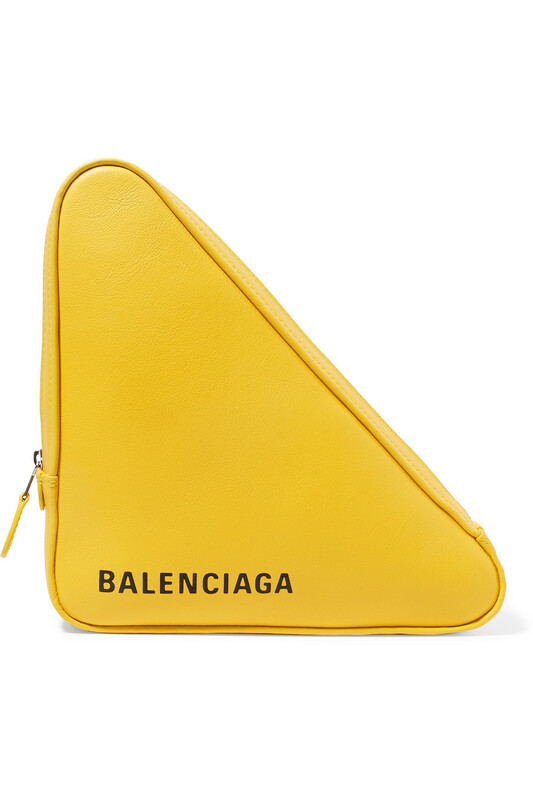 Balenciaga Triangle Duffle printed textured-leather tote, at net-a-porter.com. 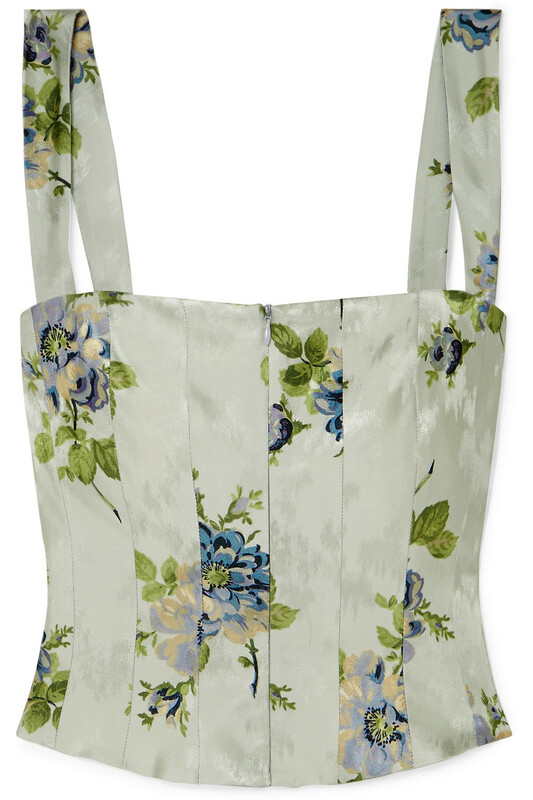 Brock Collection Tayten floral-print silk-jacquard top, at net-a-porter.com. 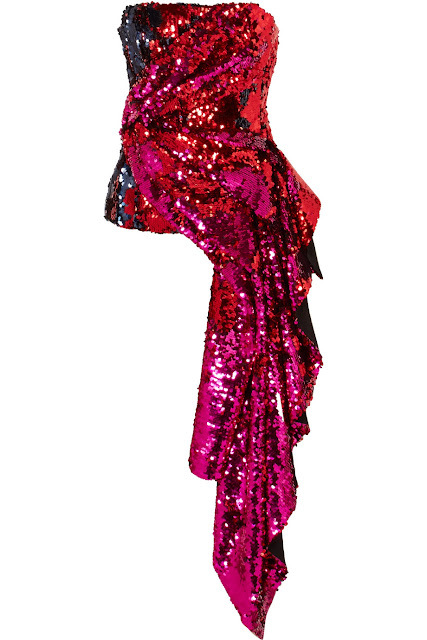 Halpern draped sequined tulle bustier top, at net-a-porter.com. 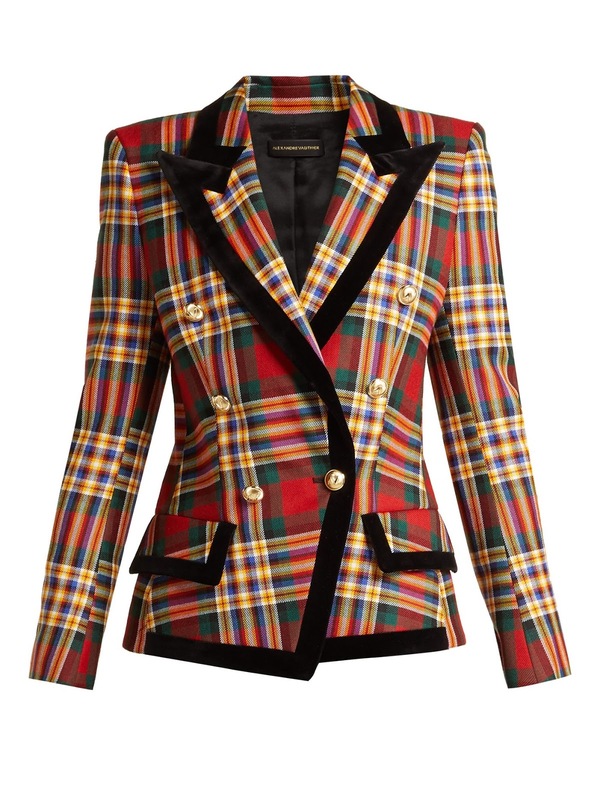 Alexandre Vauthier double-breasted tartan wool blazer, at matchesfashion.com. 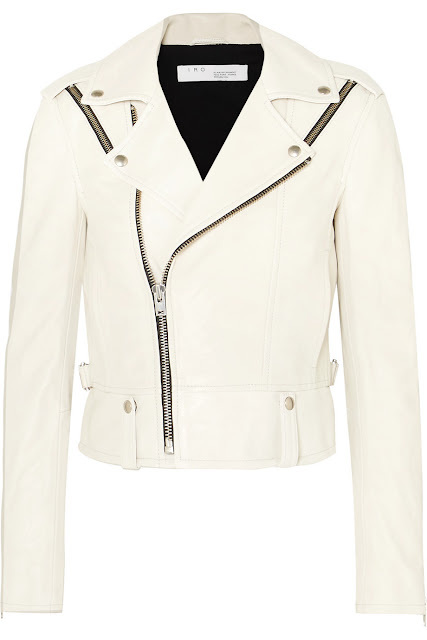 IRO Ozark leather biker jacket, at net-a-porter.com. 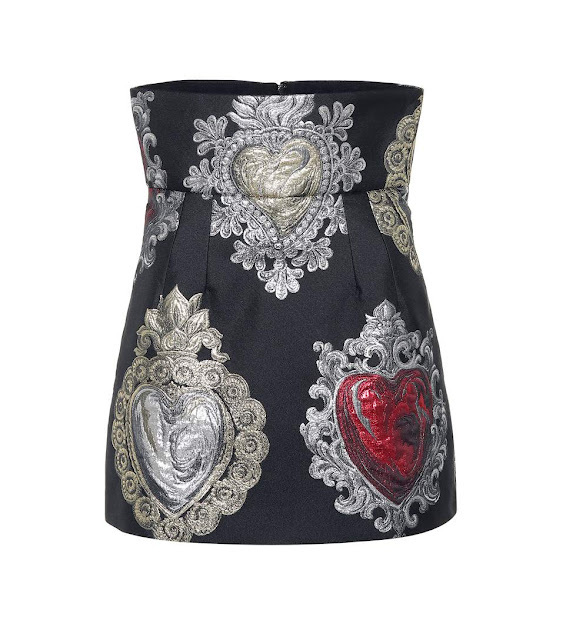 Dolce & Gabbana cotton-blend jacquard miniskirt, at mytheresa.com. 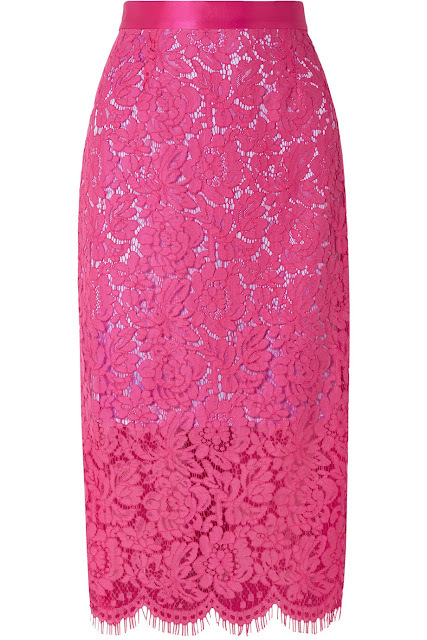 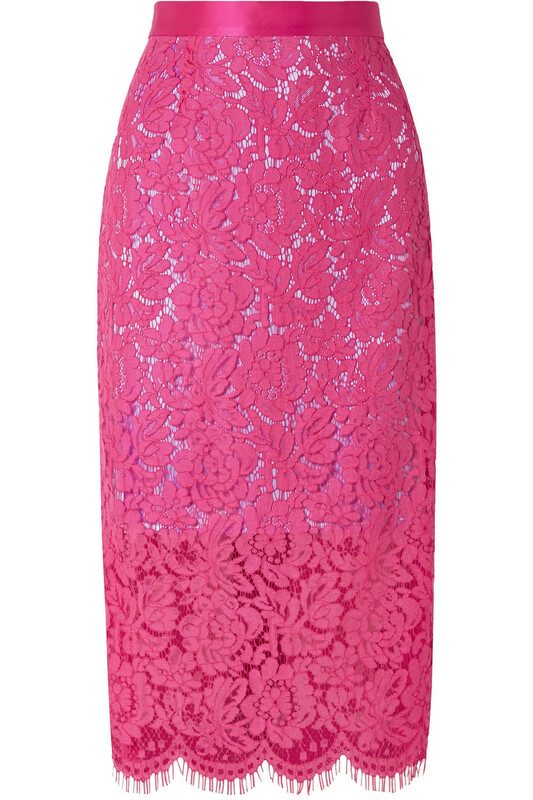 Michael Lo Sordo scalloped silk-lace midi skirt, at net-a-porter.com. 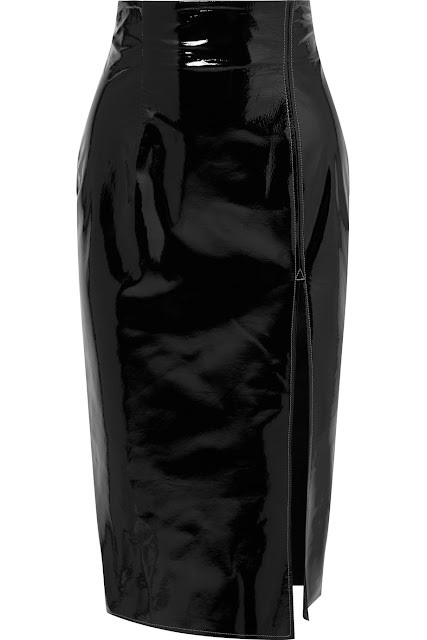 Petar Petrov asymmetric patent-leather wrap skirt, at net-a-porter.com. Balenciaga wool high-rise split-front skirt, at matchesfashion.com. 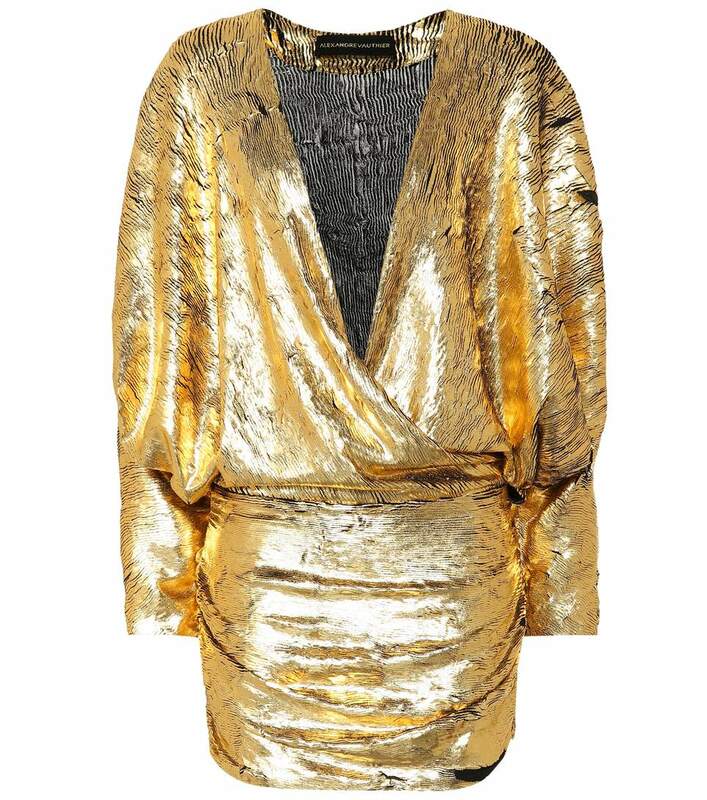 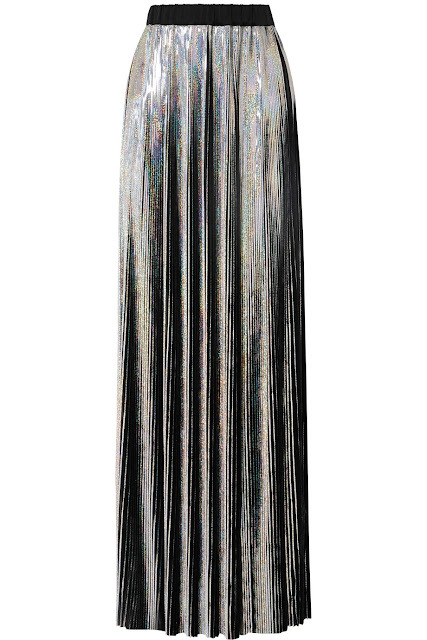 Balmain metallic plisse-georgette maxi skirt, at net-a-porter.com. Alexander McQueen zip-detailed two-tone leather dress, at net-a-porter.com. 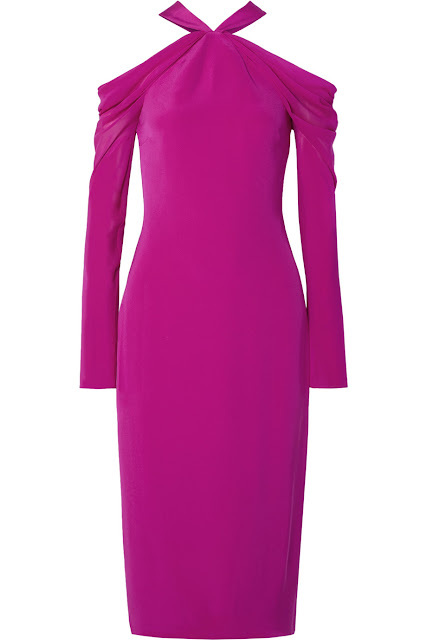 Cushnie et Ochs cold-shoulder silk crepe de chine midi dress, at net-a-porter.com. 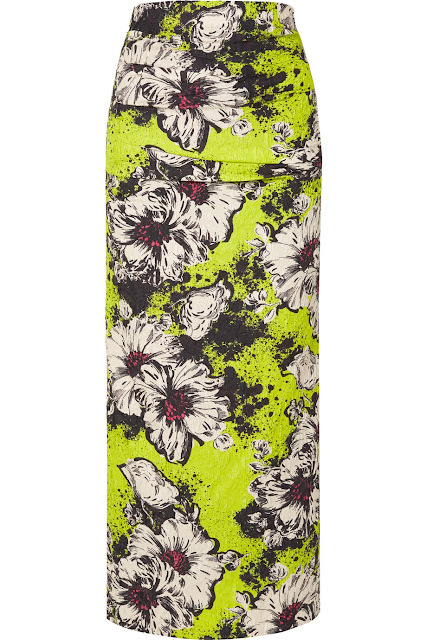 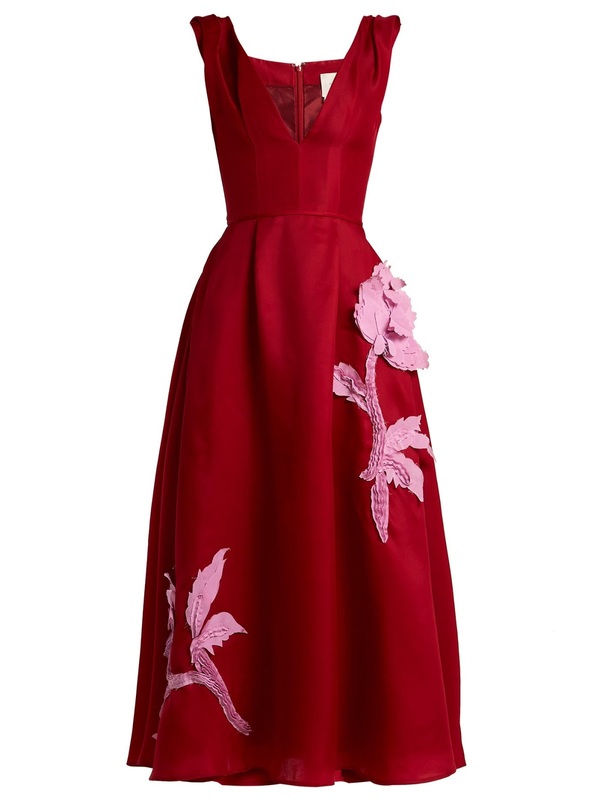 Carolina Herrera floral applique silk-gazar dress, at matchesfashion.com. 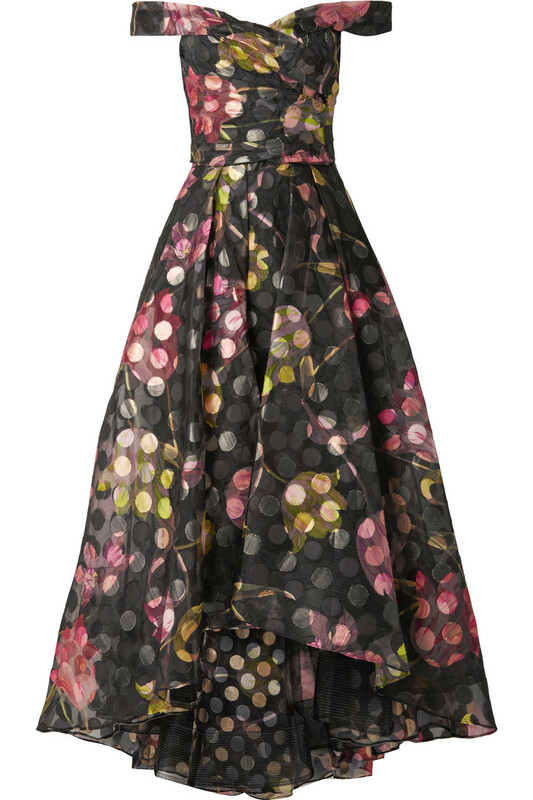 Marchesa Notte off-the-shoulder floral-print fil coupe organza gown, at net-a-porter.com. 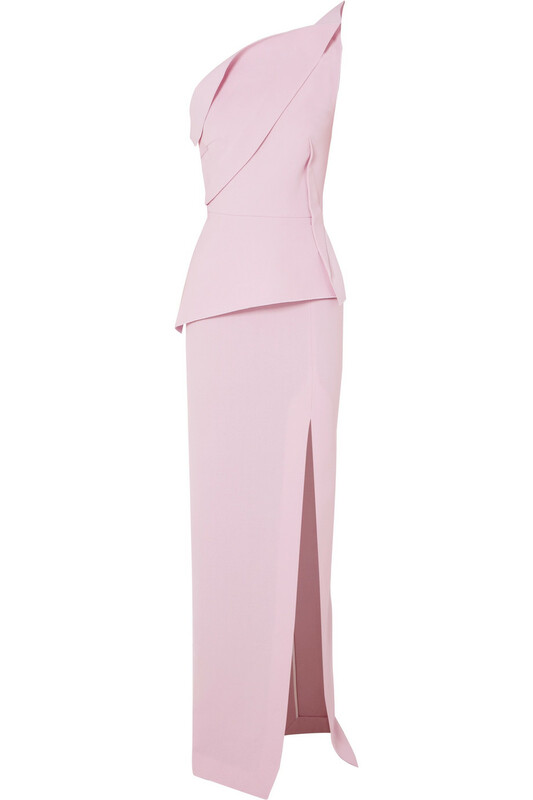 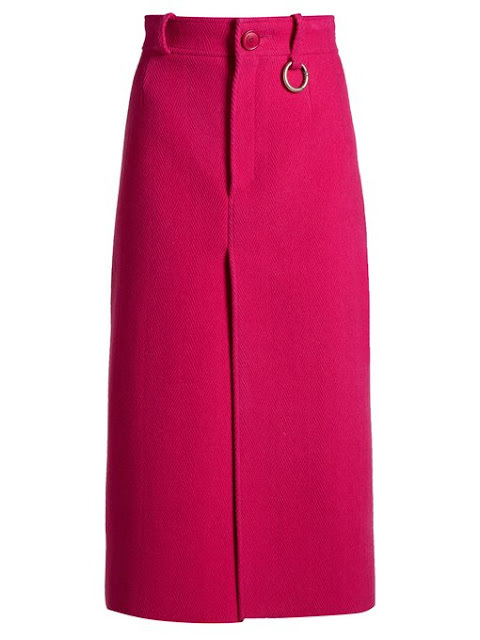 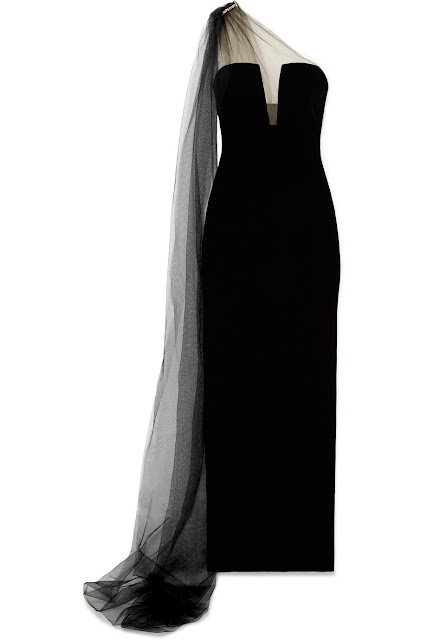 Roland Mouret Acosta one-shoulder wool-crepe gown, at net-a-porter.com. 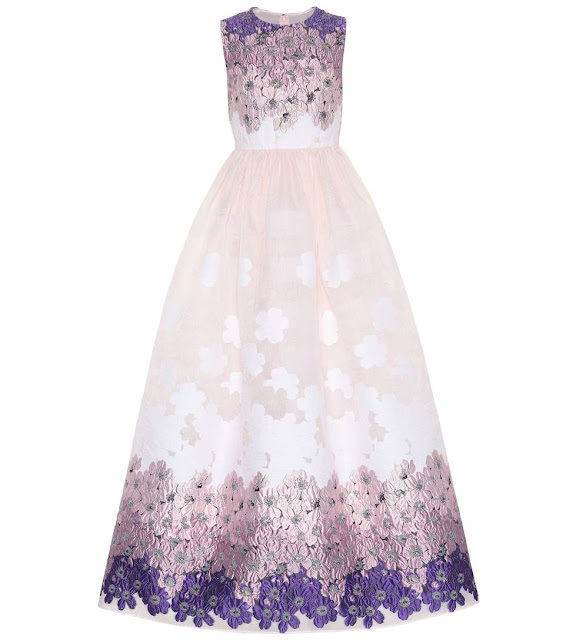 Huishan Zhang Beau floral jacquard gown, at mytheresa.com.